The internationally bestselling author of The German Girl delivers an unforgettable family saga of love and redemption during World War II, based on the true story of the Nazi massacre of a French village in 1944.New York City, 2015: Elise Duval, eighty years old, receives a phone call from a woman recently arrived from Cuba bearing messages from a time and country that she's long forgotten. A French Catholic who arrived in New York after World War II, Elise and her world are forever changed when the woman arrives with letters written to Elise from her mother in German during the war, unravelling more than seven decades of secrets. Berlin, 1939: Bookstore owner and recent widow Amanda Sternberg is fleeing Nazi Germany with her two young daughters, heading towards unoccupied France. She arrives in Haute-Vienne with only one of her girls. Their freedom is short-lived and soon they are taken to a labor camp. 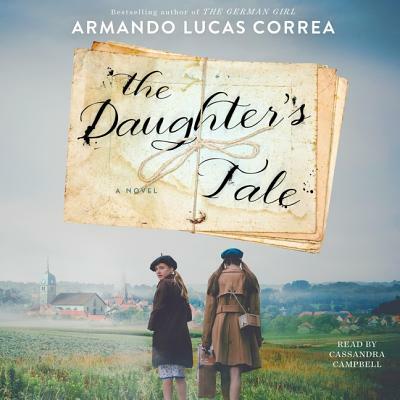 Based on true events, The Daughter's Tale chronicles one of the most harrowing atrocities perpetrated by the Nazis during World War II: the 1944 massacre of all the inhabitants of Oradour-Sur-Glane, a small, idyllic village in the south of France. Heartbreaking and immersive, The Daughter's Tale is a beautifully crafted family saga of love, survival, and hope against all odds.